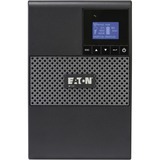 Tripp Lite's HT850UPS line-interactive UPS offers complete protection for PCs, workstations and other sensitive electronics in an ultra-compact, mountable housing. 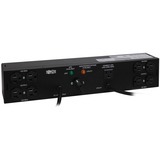 Internal UPS circuits support individual VCR/DVR components as long as 3 hours during power failures. 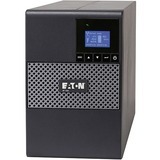 Prevents data loss and system downtime by providing battery-supported AC output during blackouts and automatic voltage regulation (AVR) during brownouts and overvoltages. Includes 12 output receptacles, 4 of which are widely spaced to accommodate large transformer blocks without obscuring adjacent outlets. 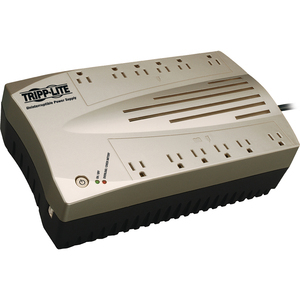 6 outlets offer full battery support and surge suppression, protecting computers, monitors and other vital system components from power loss. 6 additional outlets with surge suppression only are ideal for printers and other peripherals not requiring battery support. Single-line telephone suppression jacks and gold coaxial line surge suppression jacks. 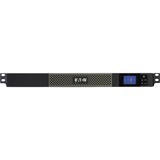 USB port with included cable and PowerAlert monitoring software.